Hey folks! I'm going to stop apologizing for not writing often enough, I'm sure you're sick of hearing excuses. Honestly, I love blogging and I have a crazy life right now so I'm gonna do what I can do. 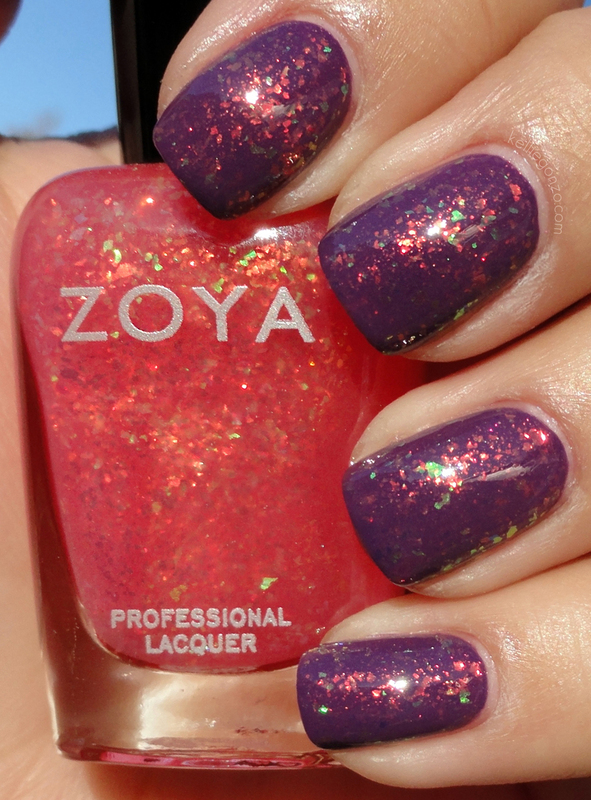 Zoya put out a mini collection along with their Spring True collection, a trio of flakie top coats! Exciting that so many brands are hopping on the flake trend eh? First up is Maisie, a sheer base with a candy blue tint and iridescent mylar flakes that shift from green to blue. 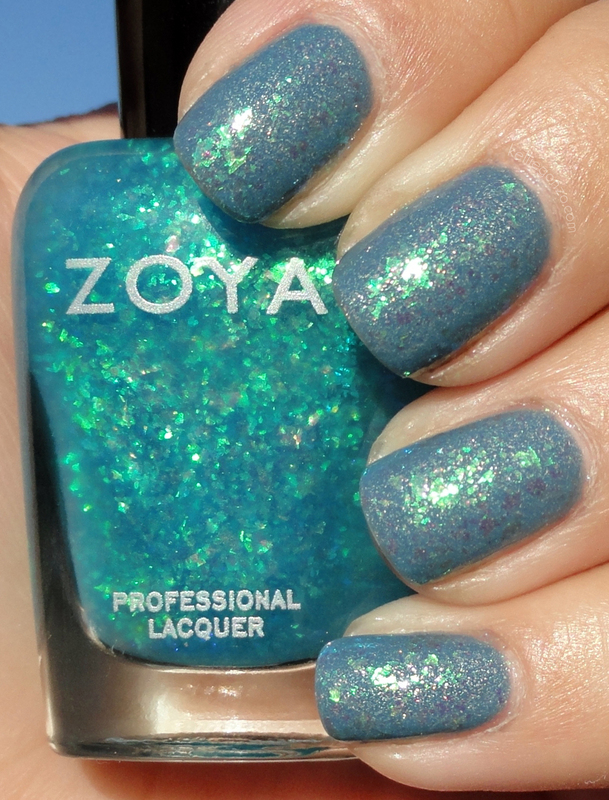 I layered two coats over Zoya Skylar from the True collection. Below is a photo taken indoors under lamp light for another perspective of the effect. Next is Chloe who's base is a blush pink and is packed with duochrome flakes that pop in orange, blue, and green. This gal is my fave of the three. I painted two coats over Zoya Tru. And last is Opal, a green tinted sheer with blue and green shiny flakes. This swatch is two coats over Zoya Bevin P.S. The name Opal reminds me of a 90's move with a young Gaby Hoffmann called This Is My Life. I don't care for it. Hope you enjoyed these swatches, catch ya later sweeties!